Modems are available from £10.20 per month for 1GB of data. The charge includes WiFi access from 8,000 WiFi hotspots. Ofcom's survey of mobile broadband, published in May 2011 found that O2 offered the fastest average download speeds of all mobile broadband providers. 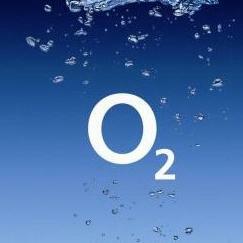 O2 are our recommended choice of mobile broadband providers. O2 mobile broadband. Complete rubbish. Has worked all of about 6 hours in a week. Rarely gets on network, only used about 0.02 G of a 12G limit because it can't get on network. Put a EE in, gets on network straight away and just works. Don't waste your money. Have o2 broadband and I have to say, the download speeds are pitiful. There isn't an awful lot more I say on the matter, I swapped to them because they said the speeds where great and there just not. just recently purchased 02 dongle payg, it does not work or even connect, just gives weak signal, what a waste of time and money...dont recommend this. Everything went well on my dongle broadband with 02 until a month ago when I could no longer see how many MB I had left. so I changed to pay monthly. They emailed me with a link to where they said I could see my data. But the link took me to a place where i had to jump through hoops, and there was no way to see my data. I went to the chatline, spent two hours getting nowhere. They kept giving me the same link. I finally managed to change my password (but it was really the password i'dd used before) ,but they seemed to think i wanted to see my mobile phone stuff, not my dongle broadband. The complaints chatline couldn't help either. I have been an O2 customer for 9 years, during which time I have simultanously held accounts with Three, Vodafone and Lebara, allowing me to make reliable comparisons between the providers. And through my comparison I found O2 to be the second worst provider (the worst is Vodafone, as I was nearly forced to sue them for fraud). b. The O2 contract is for 2 years, whereas Three offers a rolling contract, so you are not tied in. c. Three also gives unlimited data for this contract. The O2 contract does not have any data allowance. a. It takes on average 30 (Thirty) minutes for a customer service rep to answer the phone. b. This waiting time apparantly increases once you have made it clear to them that you are interested in leaving O2. c. For most other networks, I am able to start talking with a customer service rep within 10 minutes. a. In many parts of London (about 15mins drive from city center) you can barely get a signal for your phone. The data connection signal is worse. 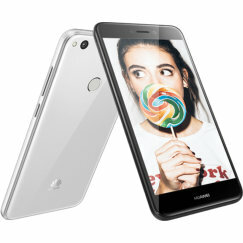 b. I have found Three to give a particularly reliable network coverage. In conclusion, although O2 used to be a reliable service provider, they are no longer worthy of the price they charge and unless your only other choice is Vodafone, you should avoid signing a contract with O2. Bought o2 mobile because of BT Hopstop access which reached my office. Then a month later can't use BT anymore (cost saving for o2). Complained twice - not even courtesy to reply and marketing says access to 7500 free hotspots for o2. 2. They are the worst hotspots available. I've had the Cloud when with sky and as I said above BT. o2 hotpots in local o2 shop never work - em[ployee said sorry no promises that they work! Second their range is poor, for COSTA you have to be in the shop. Why do o2 hotspots not have the same range as other providers?????? Bought a dongle with 2gb of data. The data gets wiped after a month and I only needed it to tie me over whilst I wait for landline broadband. WASTE OF MONEY! The dongle only connects to GPRS 70% of the time which the O2 tech support admitted wouldn't even load google. It's been nearly three weeks and I'm getting very frustrated. I think it criminal to wipe the data after a month if I'm not able to use it because their tech is rubbish! The 3G connection is fine because my O2 phone connects perfectly. DONT USE O2! Do NOT buy this. Incredibly unreliable, slow as a snail (I live in Wimbledon), but worst of all is the software. I've installed it on Windows 8, but I've had to run System Restore 3 times in 3 weeks just because it's the only fix for when the dongle decides to repeatedly connect and disconnect a second later. Their customer support hotline is an 0845 number, so on top of everything else you have to pay to have them help you fix a problem caused by their utterly horrible hardware and software. o2 dongle,very unreliable. keeps reloading softwear each time I put dongle in. won't connect most of the time. Really disappointing. DON'T buy a o2 mobile broadband ( dongle )they are rubbish they lose connection while you are talking to people they take ages to re connect ( when it decides to ? )WE LOOSE MONEY ON A REGULAR BASIS BECAUSE OF CONNECTION PROBLEMS and it won't connect to Facebook any more i no this because i connected it to my mates sky internet and it worked fine put the dongle in and got a blank page ? Well I wanted to buy wireless internet to my flat, first I asked virgin who didn't do anything about my order for about 2 months (!!!) so I cancelled that order and went into an o2 shop. They were very helpful and helped me set up a contract for wireless internet (like �20p/months), but they won't be able to come and install the phone line until in 1 month!! Why does it take so long time? I've already waited months to get the internet but I guess that's not o2 fault really... However, I haven't started using my wireless internet yet so I don't know how it works... I hope it works flawlessly - because that's what they promised... However, the shop assistant persuaded me to become a o2 customer (to get the internet cheaper - he claimed I would yearn lotsa money). to become a o2 customer, you need to buy stuff, of course. so I bought a dongle. He claimed I only have to top it up every three month or so with like �2 - I really hope this is true. I'm so tired of being misled by sellers! Well, there were LOADS of extra charges. You have to buy like �45 for the engineers coming to install the line, like �25 for the router, and �20 for getting the dongle... and then you have to be extremely careful when register on their website (they ask you to do this to get extra data to your dongle account) - so you don't accidentally agree on setting up more contracts and pay loads of extra money. The dongle works fine except from that facebook is not working! So overall, the starting charges ended up on like �100 which is crazy! I just hope I will get extremely GOOD service and that they don't trick me to pay loads of extra money like hidden charges. Pros : Excellent 3G speeds (especially in comparison to 3, Orange and T-Mobile) Cons : 3G is impossible anywhere outside of major cities, 'unlimited data' actually meant 500mb of data per month, better value for money elsewhere. Just save yourself the trouble and get WiFi. 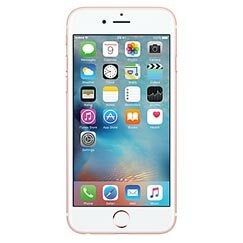 Hi all, If you are planning on buying an O2 MODEM or an iPhone with O2 you will be so angry at their POOR functionality that you will detest O2 for a long long time for taking your money and not providing the services that they are supposed to. I've been using both for 9 months now (only 3 left till my contract terminates thank God!!) and I ALWAYS had problems with the Internet connection. It is so slow (and I live in Dublin city centre re MODEM) it takes 3 minutes for the Google homepage to load!! Technical support? Yes, you can try them if having the same conversation with them infinitely doesn't bother you. DO NOT BUY INTERNET FROM O2. Very good 3G coverage (London Area) but the unlimited Wifi is of no use, it never in 6 months managed to connect but if I shut the O2 software down and connect manually I can get the BT Splash screen fine, boot up O2 connection manager and it tells me that the wifi is too busy or I'm too far away. In short dont buy this on the strength of the unlimited Wifi but the mobile coverage is good, reliable and fast, if it had been sold as mobile only for the price it would be 5 stars but I dont like to be mis sold so it gets 3. I got the O2 PAYG dongle. According to the O2 website I am in an area of excellent reception. I cannot connect at all and the system reports a weak signal I am returning this rubbish. im very very unhappy with my network it goes off after 5 mins, depite my calls to o2 they are so unhelpful. i feel like im wasting my monthly bill of 35.00 for basically nothing. wont have o2 again after contract ends. do not o2's mobile internet,PLEASE PAY ATTENTION,I have two contract phones with them a samsung smart phone + htc desire android, I was told i would be able to stream youtube on them from o2 shops "LIARS" if you only want a phone that can make phone calls, then o2 can do that| if you wan't internet usage go to ANY OTHER NETWORK because they all stream video, 3mobile + virgin + orange/tmobile I know stream video very well. 02 I can't wait until I finish with you. Bought an o2 pay as you go dongle as I'm not a heavy internet user. I haven't even managed to put any money on it yet because the only signal I can get (and that is very low) is talk talk and it lasts about 15 seconds before it goes off again. I've taken my laptop into every room of my home, even taken it outside and just cannot pick up anything. I live in Kent not outer Mongolia. I Didn't realise these dongles expire after 30 days if you haven't put any credit on them. I've now ordered a BT broadband contract. Hope I've done the right thing!!! paid �250 to watch world cup on o2 broadband. Very dear!!!!!! Some of these reviews are actually for home broadband not mobile broadband. I have home broadband from o2 and its great but mobile broadband from them is slow and unresponsive. Relies on a good 3g signal. If you have a BT landline and don't need access anywhere get o2 home broadband set up with router. Enjoy speeds of 11MB/S over WIFI, or 16 over cable connected to computer. These mobile broadbands are far slower and patchier but on the upside it will work anywhere, so long as its in a 3g area. Simply appalling. So frustrating to use, software install takes 10 minutes, increases Windows Startup by a good 30 seconds and is so badly designed, and un-responsive. It feels like it was knocked together in a day, with testing taking place over half a day. I was informed in the shop to expect 3.2 meg, if not 3g, then half a mbps, which I was overjoyed with. 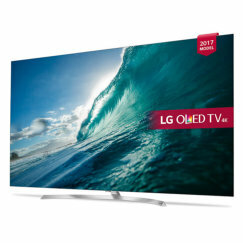 I was conned, paid my money then for hours after, grew more and more frustrated with awful software, and hardware that simply just doesn`t work. It takes about 2 mins to connect, then double that to load a simple page. Even though reception says Very Good, constantly an error would occur, saying no coverage. I just have to take it back to the shop, DO NOT use O2 Mobile Broadband, you will tear your hair out. I tried a number of computers, and locations which indicated on their website had great coverage. DO NOT USE O2 BROADBAND!! Why? Because in their Terms and Conditions it states that if you leave them for another ISP you must return their router or they will charge you �50! Yep, even if you have completed the obilgatory 12 months period. They keep this part quiet of course, wouldn't want to deter customers from signing up. I have to say that it is a unique stipulation in my experience, no other ISP has ever asked for their kit back when moving on. Switched from virgin to o2, best move ever! Even though i am paying for 20MB and getting 13MB max (this is due to BT not updating the exchange) its still brilliant. i live with 5 other guys and we download all the time, and surf whilst doing so. But, we get maximum bandwidth all the time. No capping policy which is great. And less than �10 a month! Really recommend! I cant fault O2. I even get internet with a very low signal strength. It very rarely looses connection. Iwould recommendit to anyone! The worst dongle on the market! it fails after 30 mins and i have to wait hours for it to re-connect. whatever you do, buy something else!!! i've got an o2 mobile broadand on 24 month contract for �40 when signing up with them i was living in walthamstow and the coverage was ok i am now living in essex and have no coverage at all. 02 says they dont cover this area they dont cancel the contract, they also wont drop my tariff i will never buy anything from 02 again even if its free!!!! Worked quite well for 2 months. Problem with dongle, would not replace, advised to send for repair by shop. No assurance on length of time away. 02 direct very helpful, 02 shop customer services awful !! I was shocked to read the negative reviews given to o2 for their broadband, I've had mine a while now and not once have I had any problems with it. The dongle cost me �15, the man that sold me it was very helpful and polite, while I explained to him the problems I had with the network3 and T-Mobile dongles - Which I'm NOT going to go into on here, I might get angry again!! LOL :-D Mobile broadband will never compare to NORMAL broadband, say that of Virgin or BT, but it is good as a stop gap or for traveling. What I can't get my head around is the amount of people who complain they can't download stuff, dongles were merely created to allow internet access, not for movie downloads. After using other networks, and now finally getting an o2 dongle I won't be looking back. Not happy with the PAYG mobile O2 Broadband at all. On my account web page it says I still have credit. Whenever I find the web page is running slow I find if I top up this problem some how automatically dissapears. Could it be possible this is done deliberately to get people to top up even though there is credit to get more money out of people? so far my o2 pay as you go dongle has been great, but lately not very good signal, but i am quite impressed so far and i have had it for nearly a year. Really rubbish. I used to be on T mobile, but that messed up my computer so i decided to go onto 02 to see if it was any better, and i might as well go back to T mobile. Absolutely rubbish, takes forever to connect, and when it does i can't see any vids on youtube because it is so slow, or email, i can just browse, and even then it takes about 5 minutes...it shouldn't be this bad. Will this nightmare ever end???????????????????????? the worst mobile broadband on the market, i left 02 for 3, there coverage is unbeatable and the price is outstanding. Bad area coverage. We used to use Orange UK and changed to 02 to see if better coverage and it's the worst possible. Takes around 10 - 15 minutes to pickup the 02-UK network and once connected, it connects at 56 kbps. Slow connection, slow program loading. Complained to 02 and will pursue. Decent for checking emails and browsing, anything more, forget it! I got totally ripped off by o2. Please don't use them, it could happen to you. Supposed to pay �15.00 a month, supposed to get an email when nearly reaching 3gb limit. Never received an email, used less than 1gb over limit and monthly bill was �182.28!!!!! This is despite not being able to get any signal at all on a few occasions. Please do not get taken for a fool... like I did!! I have exacly same situation 17.99 a month contract not even went over limit i send product back after 12 days from purchase for refund of deposit 40 euro with i pay in o2 shop.I call to o2 and they told me i went over limit,no refund and i must pay 200 euros!!!!!!!! Awful Customer Service and they lie through their teeth. I've had good CS with o2. I left Plusnet, which is a very good company, so was worried it might not be as good. The change over was very fast and easy and I was kept in touch by text and email of the progress. The only problem I have with it is that it doesn't have a place on their website with a current status report of any issues. Like many others I had the dns problem which caused lots of disconnections. Fortunately I found their forum reporting the issue and a temporary solution until it was fixed (which worked great). Plusnet have a very good website giving details of any problems and the lead time fixing them, which I miss. Have had nothing but problems with O2, have spent hours on the phone to technical services attempting to rectify thse issues but to no avail. It's been taken to the highest tier, and has been blamed on several occasions to upgrades to the local exchange taking place. Two months on and speeds are still slower than dial-up (3.4 kb/s on one download!!) and one computer in the hous eremains unable to connect to the 02 box entirely. Looking into cancelling the contract but I do not want to pay the �50 charge for cancelling the contract early and having had the broadband longer than the 100 day grace period. Avoid like the plague.